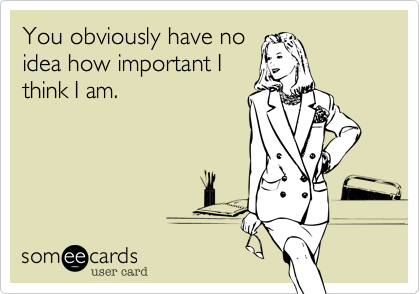 You obviously have no idea how important I think I am. Ah yes, “vanity vanity all is vanity under the sun.” It is hard to help some people understand that their worth is no more important than anyone else’s. Good statement on your blog.